August 20, 2014 (Wortham, Texas) – In cooperation with the James Stewart AMA Spring Championship, Freestone Raceway will be featuring the 2015 AMA Womens Motocross Cup (WMXC) from March 16-21. 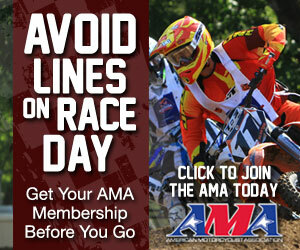 This new date places the AMA Womens Cup in front of the industry unlike any other time in its history. In 2015, the James Stewart AMA Spring Championship features the Womens MX Cup along with the WMX Championship at Freestone Raceway with 42 classes that includes four Girls/Womens championships. The Womens MX Cup will have a total of ten (10) classes starting with 51cc all the way to a Womens Vet class. For more information, stay tuned to www.WomensMXCup.com or follow us on social media @womensmxcup. Go to the CONTACT page for inquiries. This entry was posted in News and tagged date announced. Bookmark the permalink.